Jackson Kayak founded in Rock Island Tennessee by Eric Jackson known as E.J.! The most accomplished kayaker in history with over 100 wins to his name! With most every innovative outdoor product comes about because some adventurer wanted for himself or his family. Thus in 2004 Jackson Kayak is launched with the first child kayak design. A whitewater kayak for Eric Jackson 10 year old son Dane, which only weighed 44 pounds. E.J. said, "We were going to make a product that nobody else was willing to make, and we were going to succeed doing it." The Jackson Kayak company is the recognized world wide leader that dominates the industry in quality and performance. Jackson Kayak has spent a decade developing the world's most aggressive innovative whitewater and fishing kayaks on the market. They employ the top engineers/designers in the industry whose years of combined knowledge and experiences ensures you of the best design boat on the water. As Eric Jackson first collaborated with avid paddler and friend David Knight in 1997, designing the whitewater kayak that would change the industry forever. Eric brings first hand knowledge of kayak design and physics to every Jackson Kayak build. Since then Jackson has produced the world's most successful whitewater kayaks. Winning more medals at freestyle world championship events than any other whitewater brand on the market. 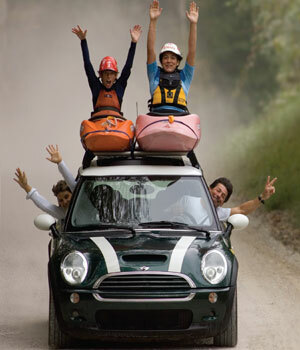 Ensuring that everyone from the expert whitewater champion to the everyday paddler can find the right kayak to paddle! The original Jackson Kayak Coosa in 2010 truly revolutionized kayak fishing and set the fishing kayak market on fire! Today there is a complete line of Jackson fishing kayaks that offer all day comfort, unprecedented stability, and stand ability. Jackson Kayak leads the kayak fishing industry with unsurpassed innovations and standard features on every fishing kayak. The Flex Drive to E Drive it is the newest innovation from Jackson Kayak in fishing kayaks platforms! "Jackson Kayak concept is really conceived, designed, and manufactured under the pressure of doing something that has never been done before and making it better than anyone has made it before." There is a sign that hangs in the Jackson Kayak manufacturing plant in Sparta Tennessee, with the words, "BUILD IT LIKE IT'S YOURS." As a reminder to everyone that this is not just a kayak their building, but someone's personal kayak! Eric Jackson once said, "One of the most rewarding things I've ever experienced in my life, even considering all the World Championships, is being out on the water in a Jackson Kayak we made right here in Sparta, Tennessee, we design, and make one at a time by hand."